Summary: Thinking of retiring in Vietnam? Here are 5 of the best places to retire in Vietnam. 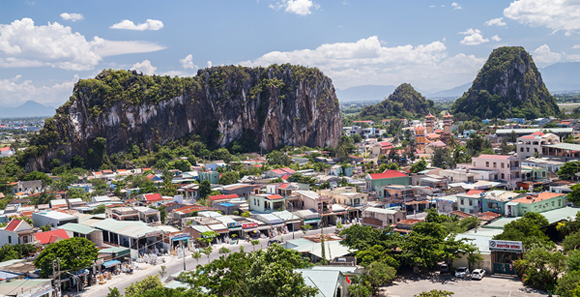 Retirees in Vietnam enjoy the lower cost of living, warmer climate, friendly locals and amazing Vietnamese food (and coffee)! If you're considering Vietnam for retirement, here are 5 of the best places to retire in Vietnam. 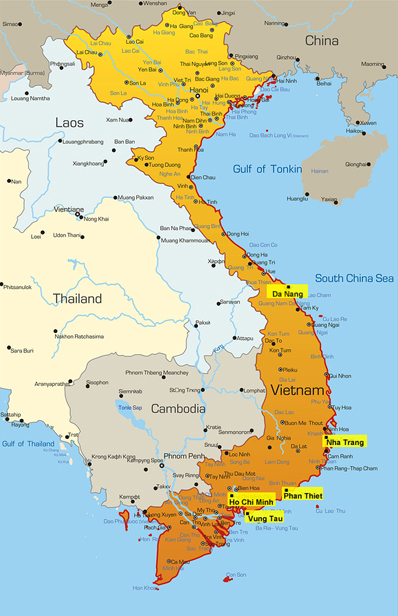 Da Nang is Vietnam's 3rd largest city with a population of over 1.3 million people. An expat in Da Nang describes life in Da Nang saying, "We love to visit the 'Lady Buddha' and Marble Mountain. We take long walks on the beach day or night. We visit the markets, we travel by bus to Hoi An, we eat at local restaurants. The residents of Da Nang are mostly Buddhist, although there are some Catholics and there are a few beautiful churches. These are remnants of the French occupation in Vietnam. The majority of people here are Vietnamese. Although there is large tourism industry. Travelers arrive every day from all over the world. All races, all religions... I laugh though, as I am one of only a few Jewish folks here! They follow Vietnamese holidays... ancestral days, Buddha day, Lunar new year etc. But, they also celebrate Women's day, Teachers Day and Children's Day too! Be open minded. Be prepared for a slower pace of life. If things don't get done today, they may get done tomorrow. Bring sunscreen and mosquito repellent. Be ready to smile and laugh every day. There are lots of new things to look forward too... food, people, rats, construction, the beach, dogs, tiny plastic chairs and Vietnamese coffee!" Another expat living in Da Nang recommended meeting others by, "Taking Vietnamese classes, frequenting expat hang outs like Bread of Life, The Waterfront (both restaurants). Need more information on living in Vietnam? Login or Register and visit our Vietnam Forum. Talk with other expats who can offer you insight and tips about living in Vietnam.